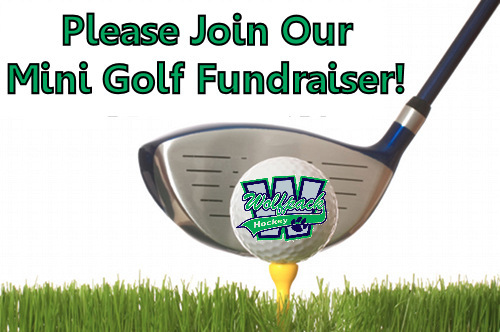 This year Woodbridge Wolfpack will be hosting its second annual mini golf fundraiser on August 18th beginning at 10:00am. The golf course is located in the rear of the complex behind the ice skating rink. Golfers will participate in a round of golf and all golfers are invited to stay for our barbecue afterwards. Food and non-alcoholic beverages are included in your registration fee. Sponsor a single hole for the golf outing. Your company name will appear on a hole for the day. Sponsor two holes for the golf outing. Your company name will appear on two holes through the course. This is for individuals who are interested in golfing and enjoying our BBQ following your round of golf. This is for groups of four golfers and our BBQ is included afterwards. if you are interested in sponsoring this event! Proceeds will DIRECTLY BENEFIT the teams to help cover tournament travel costs and other expenses. If you are unable to sponsor or attend the event, please post links on social media and invite your friends and family! Don’t get lost on your way to the rink! Previous PostPrevious Serafim Keybo – For Fathers Day!